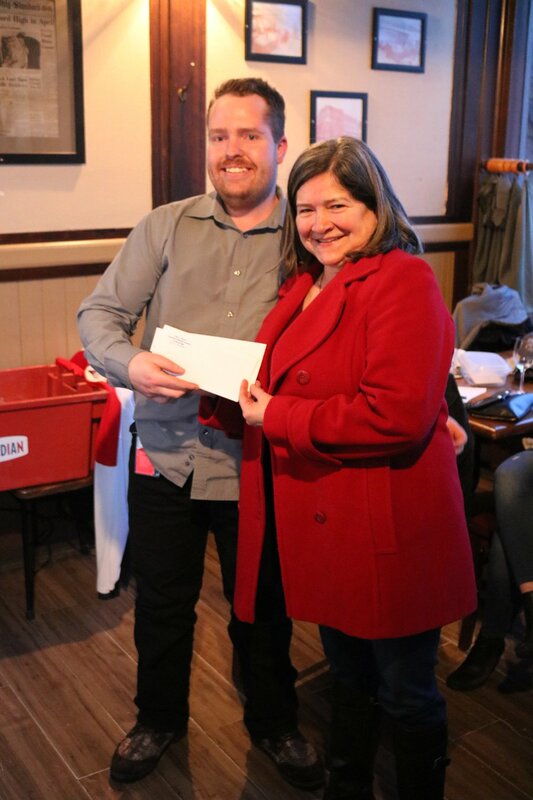 The Brockville Winter Classic organizing committee held a wrap-up celebration last evening at the Keystorm Pub. 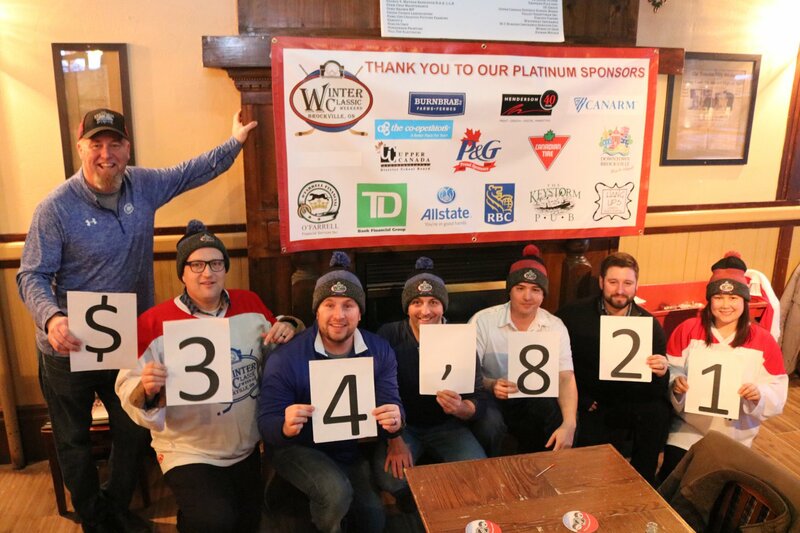 It was announced that this year's event - which featured the New York Rangers Alumni squaring off against the local Canadian Tire All-Stars raised $34,821! This money will go towards additional improvements at Rotary Park. As well, Thelma Spicer was awarded Volunteer of the Year. The award was presented by the 2017 award winner Joe Boisvenue. 1 - For the next few years, employees at Procter & Gamble will be stepping up to help with the Rotary Park fundraising efforts with the goal to leave a lasting legacy on our City.